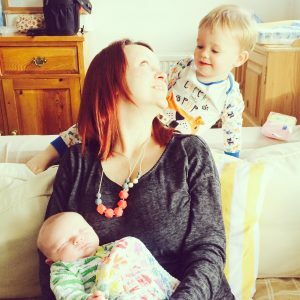 I started The Family Beehive as Blogging Mrs B back in 2015, as a way to document my pregnancy journey. As I added more content, it grew, and changed shape, and went off on a few different tangents, until settling down as The Family Bee Hive at the end of 2016, when I was expecting my second. I love to write about all different sorts of topics, so you’ll find reviews, competitions, tips, deals and opinions on The Family Beehive. I’m a bit of a foodie, but a notoriously lazy one, so the majority of the recipes that I post are easy, no-fuss ones. As well as publishing on The Family Beehive, I run a social media management company called Bee Visible, and manage a subscription box website called Lovely Little Box. So with that, and 2 kids, I certainly have my hands full! I hope you enjoy the blog – feel free to get in contact if you’d like to!